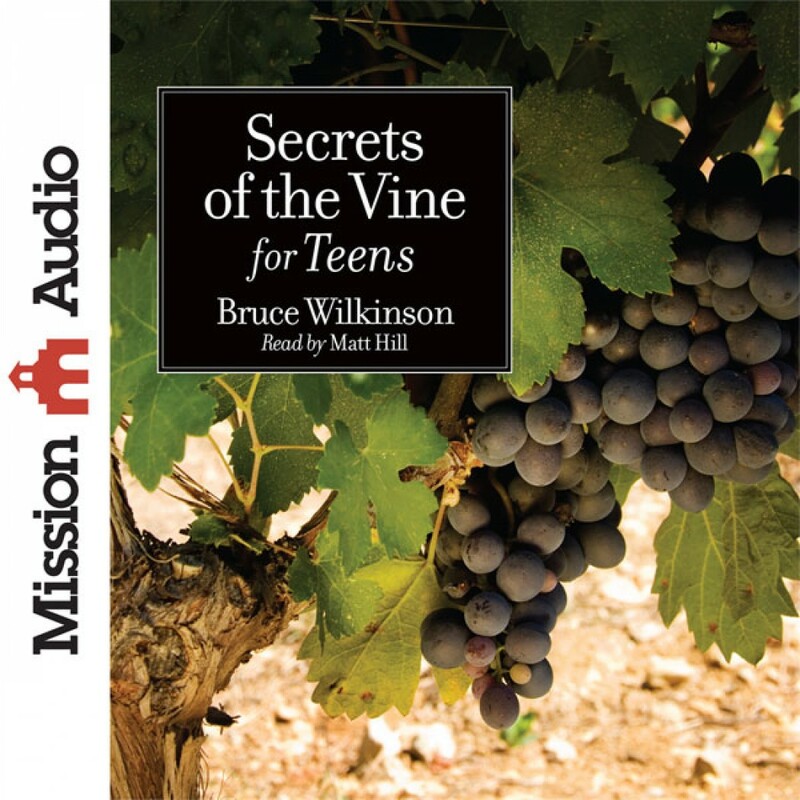 Secrets of the Vine for Teens by Bruce Wilkinson Audiobook Download - Christian audiobooks. Try us free. The night before he died, Jesus told his closest friends what they needed to know to experience a fulfilling, world-changing life. In Secrets of the Vine for Teens, Bruce Wilkinson's powerful teen-focused message passes on the truths Jesus communicated to his disciples: how God uses tough times to set you free from the sin that's keeping you from the best in life, how He gets your attention about priorities that need to change, and how He invites you -- persistently and powerfully -- to experience Him. With real-life stories about teens, supporting scriptures, and interactive questions, Bruce Wilkinson reveals to young readers the pivotal secrets to the truly abundant life. Students, youth groups, and future church leaders will welcome this dramatic follow-up to The Prayer of Jabez for Teens.